It's thought capsaicin found in the fiery vegetable could contribute to lower mortality rates. If you’re a fan of tucking into a red hot chilli pepper, then there’s some good news for you. Scientists have discovered a possible link between consuming the fiery vegetable and decreases overall mortality. Researchers from the Larner College of Medicine at the University of Vermont conducted a study using data from theNational Health and Nutritional Examination Survey that included over 16,000 Americans over a 23-year period. 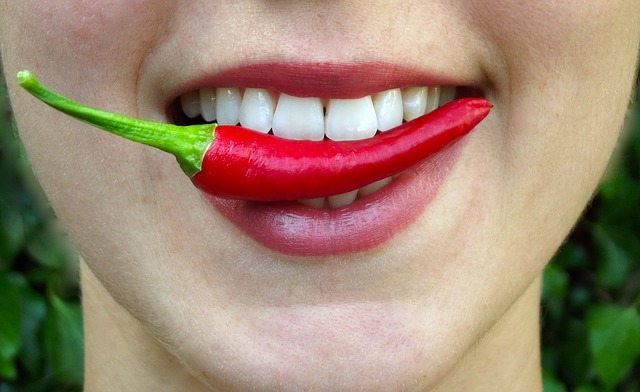 The typical or average person to consume hot chilli peppers on a regular basis were young, white Mexican-American males who are married, drink alcohol, smoke nicotine and consume more vegetables than meat in their diet. These people typically had lower HDL-cholesterol, lower income, and less education, according to the study. The researchers carried out a follow up to specifically look at mortality rates on an average of 18.9 years after the initial data was collected. The results showed those that ate hot chilli peppers on a regular basis had a 13 percent reduction in total mortality especially lowering incidents with heart attacks and strokes. “Although the mechanism by which peppers could delay mortality is far from certain, Transient Receptor Potential [TRP] channels, which are primary receptors for pungent agents such as capsalcin [the principal component in chili peppers], may in part be responsible for the observed relationship,” medical student Mustafa Chopan and Dr. Benjamin Littenberg, professor of medicine at the University of Vermont, said in a press release. It could be down to the properties within chilli peppers such as capsaicin which is meant to possess several health preventative qualities such as natural antimicrobial which fights microorganisms or inhibits their growth within the body. Details of the study were published in the journal PLOS One.